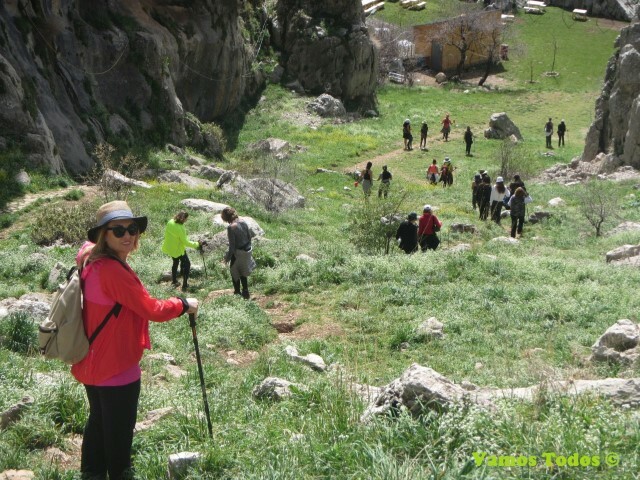 Whether by yourself or with a group of people, hiking is known to be a fun activity and because at SKILEB.com, we offer hiking trips in groups, we have written this article to outline a number of benefits that group hiking offers. 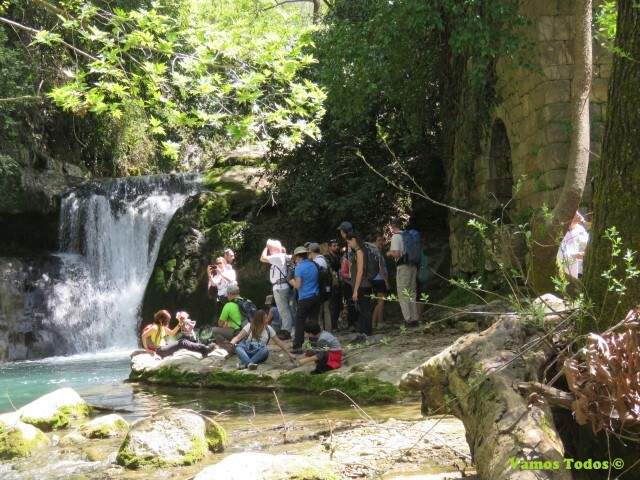 The great thing about joining our hiking trips at SKILEB.com is that we have it all planned out for you so all you have to do is show up at the pick up destination. The trips have been planned by experienced and professional hikers who know the area point by point to ensure that sure you don’t miss out on anything. Hiking trips are updated weekly so be sure to check with us for upcoming hiking locations. 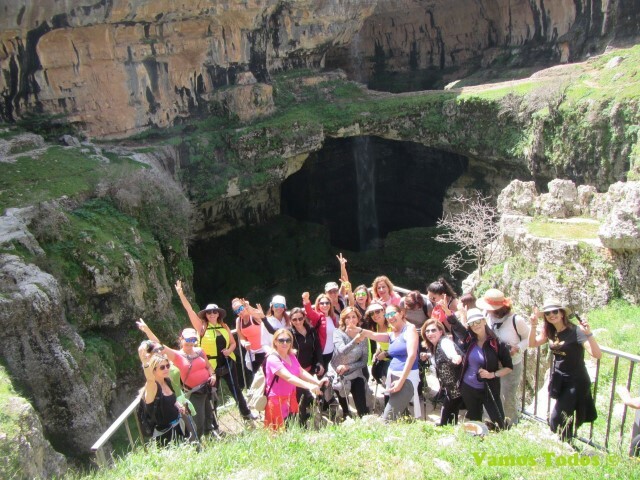 The wonderful setting of the outdoors and nature is a pleasant and casual way to build new friendships with people participating in the group hike, and if you are hiking with your own group of friends, the trip will be an opportunity to develop the friendship. People automatically open conversations with those hiking next to them which is a great way to learn about other backgrounds and traditions. Hiking with other people is usually much safer than hiking alone. Imagine being alone in a forest and you sprain your ankle for instance, or something goes wrong where you would need another person’s assistance. This is a positive side to hiking in groups where there is always someone to help you out in case of an emergency. Another reason is because hiking with a group of people is usually noisie r, which will scare off any animal that may want to approach. Our hiking trips at SKILEB.com provide transportation to the hiking destination from the set “meet up point”. This makes the ride more joyful and less tiring because you will be too busy engaging in conversations for you to feel the distance. After your hike, you will probably also be too tired to drive back, giving this another advantage. From Sir-Dinniyeh to Bqaasifrin in North Lebanon and extending over 70,000 m2 is a new upcoming touristic project which will have a total cost of $36 million. This project is carried on between two touristic companies Téléférique Sir and the Municipality of Bqaasifrin. It will include a 5 star hotel, a chairlift line, and a ski center and by summer, the first stage of this new project should be completed. This Ski center will begin with a 16,000 m2 area at Sir-Dinniyeh and end with a 53,000 m2 at the arrival area with a ski line extending over 1.1 million meters land. “The region draws tourists and expatriates during the summer. We are looking to attract them in the winter.” Said Mounir Kanj the Chairman of the Bqaasifrin Municipal Council and this is exactly what this Ski Center will do. The first stage costing $11 million dollars to be completed by summer will include a 40-room luxury hotel, a telescope center, an artificial lake, a restaurant, and a cafeteria situated on an area which is 700 m high. The second stage costing $14 million will include chalets, villas, chairlifts, restaurants, and a market however, the starting date of the second stage is not specified as it is linked to increasing the company’s capital next summer as stated by the Vice President of Téléférique Sir Mohammad Fatfat. The final third stage costing $11 million will include a ski center on top of Mount Makmel which is between the ranges of 2,200 – 2,750 meters in altitude. This will be the highest ski center in Lebanon. February 28th is the time to bring out the crazy in you by participating in the Jump n’ Freeze event sponsored by Redbull. This event will take place on the jonction slopes in Mzaar and will be nothing like your usual ski time since you will be designing your own costume and vehicle! Watch the video below to understand how it works and how to register! – Your vehicle should be around 2.5 meters long and 1 meter wide. If the vehicle is circular, then it should be at 2.5 meters in diameter. – The weight of your vehicles should not exceed 50 Kilograms. – You and your teammates need to be above the age of 16 to participate. Note that you will be judged based on your costume, vehicle, crowd cheers and overall performance! You heard right! 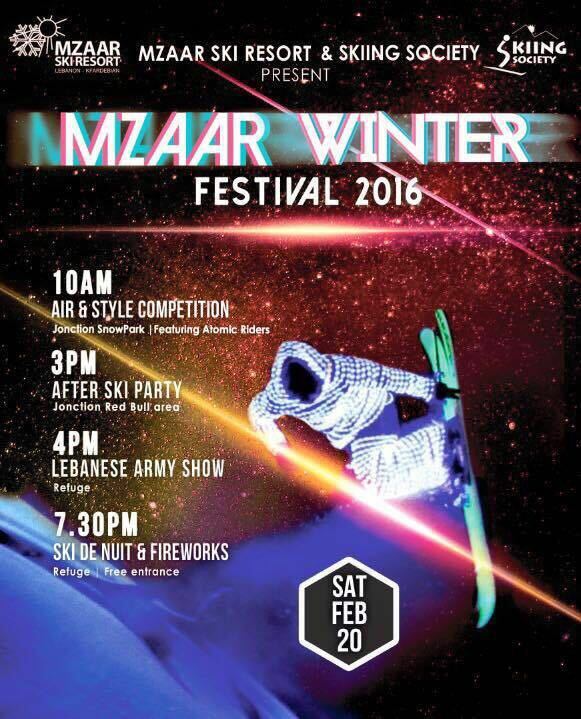 A hot show on the snow will be taking place this year on the 5th of March at Refuge terrace Mzaar! To make sure the ladies are warm, the event will begin at around 11.30 when the sun is shining bright! See you at the slopes! The clouds have finally made way for the sun to shine over the ski slopes! The slopes at the Cedars, Laklouk, Mzaar Kfardebian and Zaarour are now open for this season and ready for your bookings. If you wish to take a look at the slopes, feel free to do so by opening our snapshots from the webcams operating currently in Mzaar and Laklouk. Travelling a long way to get to the slopes? That’s not a problem because SKILEB.com is favored by tourists as well as locals and has various choices for reliable accommodation like Chalets or 5 star hotels around the ski resorts which you can book online with other ski activities like snowmobiling, tours around Lebanese ski resorts, or our One Day Ski Trip to Mzaar Resort Lebanon (ex Faraya Mzaar). If you’re a fan of snowmobiling, you have to try it in an area like Mzaar Kfardebian. With miles of snowmobile tracks, Mzaar Kfardebian offers remarkable scenery as you ride around the amazing resort. Most skidoo operators here offer all their snowmobiles (also known as a sled or a snow machine) in perfect working conditions and some even being of the latest models. In collaboration with reliable and experienced operators, SKILEB.com offers two different tours around the resort and if you wish to drive solo, you could book this snowmobile for an hour. After exploring this resort on the snowmobile, you can enjoy the amazing warmth of the Mzaar Chalets and the welcoming hospitality that “frost” restaurant offers. After a long day on the slopes you’re definitely exhausted and craving to be pampered, right? Because at SKILEB.com we aim at helping you achieve maximum relaxation, you can book a spa session and indulge in personal care services with the spa and wellness activity. In the Mzaar Ski resort, inside the InterContinental Mzaar hotel and Spa, is 1500 sqm of full body care, hydrotherapy and beauty services to keep you stress-free after a long ski day at one of the highest spa center in Lebanon at a height of 1800 meters. To meet your body’s needs, only the best qualified professional team who have been trained to follow the methods of the European balneotherapy centers, will be at your service to provide you with treatments like Shiatsu, Thai & Ayurvedic massages, aromatherapy, body treatments and facials. A physician, a dietitian, physiotherapists and hydrotherapy physicians make up the “Les Thermes du Mzaar” team, leaving you with no reason to think twice. Different services are available for you to choose from based on your convenience, and all can be found and booked here. So just do what you have to do on the slopes, and prepare to exceed your body’s expectations! Also don’t forget to visit SKILEB.com for more activities and offers. 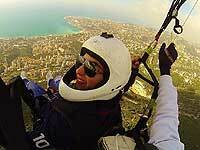 Paragliding is one of the most thrilling and adventurous way of flying, so why not give it a try at SKILEB.com where you are given the opportunity to fly over Jounieh, Lebanon. The take-off point is located 500m above sea level on the Harissa mountain where flyers will enjoy the view of the Mediterranean sea. 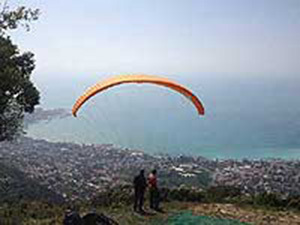 The paraglider (an inflatable wing which inflates by the movement of air into its canopy) is laid flat on the top of the mountain facing the wind and the pilot will be connected to this paraglider with special straps. When the pilot is ready, he pulls the paraglider gently into the wind and after a little run and a leap, floats gently up into the air. A professional Paragliding instructor will be your pilot to ensure you have a safe and unforgettable experience. Flights are possible everyday of the week from 14:00 PM up until 18:00 PM and the whole experience takes around 1 hour including preparation. The flight lasts for around 15 – 20 minutes with the landing point being directly on the coast below in Maameltain. – The price includes the preparation, helmet, paraglide rent, and not a transfer to the site and insurance. – Reservation should be made no less than 48 hours prior to flight. – Postponement of the flight can happen on the same day as this activity is dependent on the weather conditions. In this case, another session may be booked. 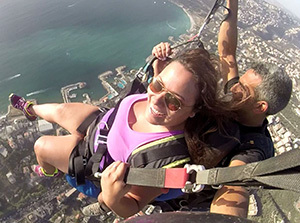 Paragliding gift voucher for $125 / person (Full payment) and is valid for 3 months after booking. What lies under the sea? This is your chance to find out! SKILEB.com has granted you the opportunity to explore Beirut waters and have all the secrets of the Mediterranean right before your eyes. Diving for your first time? Not a problem! A top level diving club will be there to assist you. The diving club is situated in Movenpick Hotel Beirut, with access to the different well-known diving spots in Lebanon; Shark point, Sting ray reef, Anchor city, Riviera caves, and much more! Don’t miss this opportunity! Dives are conducted every day between the hours of 10:00 AM and 4:00 PM and must be booked before hand. On arriving at Movenpick Hotel’s security gate, ask for the diving club and in order to confirm your identity, remember to bring your ID along otherwise you will not be allowed to proceed. Private showers and lockers are made available therefore, each person will have to bring a swimsuit and a towel. Also, upon request female instructors are available. Did you know that underwater sound travels 5 times faster?! This makes it almost impossible to know where the sound is coming from. Also, while looking at things underwater, they tend to be 33% larger and appear 25% closer due to light refraction phenomena, so imagine how big you must appear to the fish! What’s even more amusing is that once you get below 10 meters deep, you can neither see the color red nor yellow! – After your dive, you must avoid taking the plane for at least 24 hours. – You must not be under the influence of alcohol. – Diving is not recommended for pregnant women. At diving with SKILEB.com, we have different dive session selections for you to choose from depending on your expertise level, so be sure to make the right choice! Experience diving with professionals for the first time after some theory and preparation. The Price includes briefing, equipment and dive up to 8 meters for a 2-hour experience. You WILL fall in love. You are certified but need some theory recap and technical assistance before hitting the sea. Price includes briefing, boat and diving session up to 18 meters for a 2-hour experience. You are a certified and experienced diver and want to explore sites at 18 to 40 meters deep. The Price includes equipment, boat and the guide for a duration of 2 hours. Start by 3 theory courses, gear familiarization, pool diving and finally 5 sea dives down to 18 meters to obtain your international certificate. You will need 20 to 30 hours to complete the course. 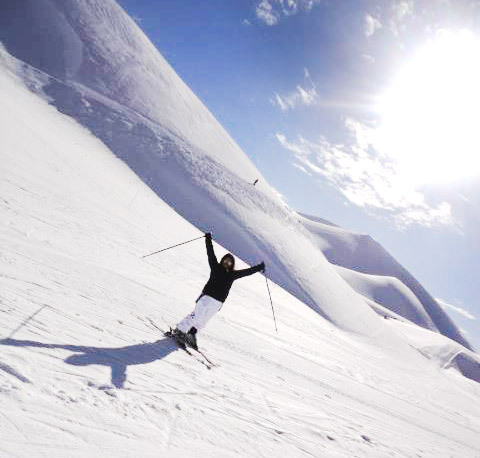 The Mzaar ski resort is one of the best spots for a trip in Lebanon, so how about visiting it from above? At SKILEB.com we turn an idea into a reality you will never forget. Experience this delightful and peaceful adventure of flying among the clouds over the Mzaar Ski resort. You are guaranteed to have the joy ride of a lifetime. To get there, you need to reach the Wardeh parking space of Mzaar Kfardebian resort after crossing Faraya village and then reaching ski field. You have to be present at the site by 6.30 am and if you need a lift from your hotel, just complete your booking and let us know by email. Qualified professionals will be your guide through the whole experience which takes around 4 to 5 hours including preparation and landing. The flight is around 30 minutes. The cost for this fun time in the air is $500. Insurance and snacks are not included in the price.